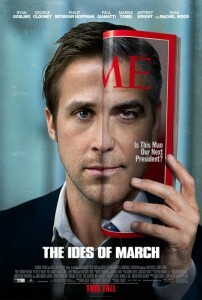 1) The Ides of March directed by George Clooney. This highly underrated American political thriller focuses on the Democratic primary with a superb performance by Ryan Gosling and a great supporting cast including Philip Seymour Hoffman, Paul Giametti and Marisa Tomei. Largely ignored at the Oscars but recognized at the 2012 Golden Globes. 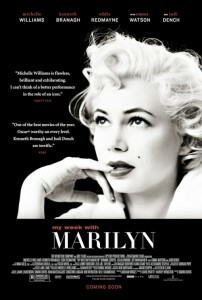 2) My Week with Marilyn directed by Simon Curtis. Michelle Williams turns in a flawless performance as the legendary screen icon Marilyn Monroe in a film about the filming of The Prince and The Showgirl, set in England. Its beautifully acted and features a wonderful cast of British and American stars playing actors of a previous generation. Both Michelle Williams and Kenneth Branagh were nominated for Oscars for their portrayals of Marilyn Monroe and Sir Laurence Olivier respectively. 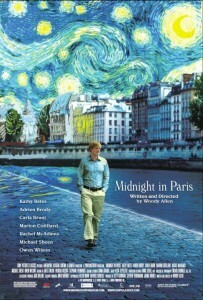 Woody Allen’s superb script brings Paris to life through the ages and the eyes of Owen Wilson’s character as he wanders the famous city and meets artists, actors and influential citizens which made Paris their home in the early part of the 20th Century. Naturally featuring an ensemble cast including Rachel McAdams, Michael Sheen, Marion Cotillard, Kathy Bates and Adrien Brody. 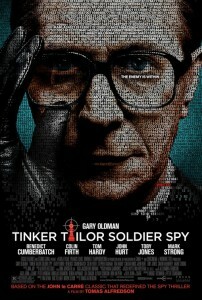 This superb adaptation of the John le Carre classic spy novel features a brilliant British cast including John Hurt, Colin Firth and Tom Hardy, but it is really Gary Oldman’s nuanced Oscar Nominated performance as the intriguing Smiley who gives this spy thriller depth and complexity. This boldly conceptualized Black and White and largely silent film follows the changing career of a Silent Movie Star who has to make an uneasy transition to motion pictures with sound. 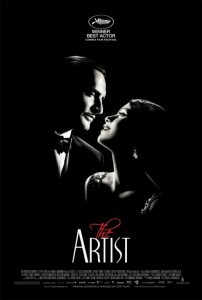 The Artist is a homage to the origins of cinema and naturally stole the hearts of the Academy at the Oscar Awards. Look out for a wonderfully expressive performance by French actor Jean Dujardin in the lead role who won Best Actor. Glenn Close gives one of the best performances of her career besides that of Dangerous Liaisons as she pretends to be a male butler in a Victorian Hotel set in Dublin at a time when it was very difficult for women to get employment. 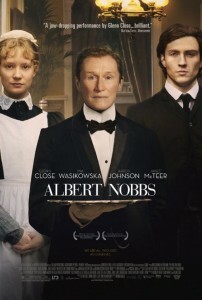 Albert Nobbs is a multilayered drama about forbidden love and challenges the notions of gender and sexuality in a very closed society. Glenn Close was nominated for Best Actress and Janet Teer was nominated for Best Supporting Actress at the Oscars. Two brilliant performances in challenging roles in a superbly textured film. Meryl Streep’s extraordinary portrayal of former British Prime Minister Margaret Thatcher is formidable and deservedly won her a 3rd Oscar. 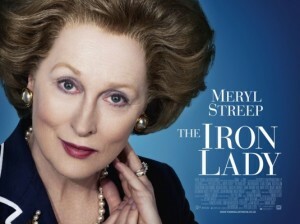 The Iron Lady is centred on Margaret Thatcher’s rise to power and also Streep’s unbelievable ability to portray Thatcher at different periods and ages in her controversial political career as Britain’s first female Prime Minister. Phyllida Lloyd film might be unevenly directed but is anchored down by a wonderful portrayal of an iconic political leader. This third installment of the Batman Trilogy is fantastically executed by director Nolan for sheer scale, visual tenacity and jaw-dropping action. 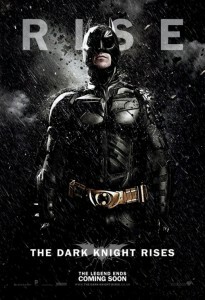 Featuring a superb cast including Anne Hathaway as Catwoman, Joseph Gordon-Levitt and Marion Cotillard. The technical aspects of The Dark Knight Rises make it a thrilling cinematic experience to conclude a beautifully conceptualized reinvention of Batman which started with Batman Begins. Look out for Tom Hardy’s sensational and sinister performance as Bane the villain out to terrorize Gotham City. Based upon the novel by Patrick White, this film adaptation focuses on a quirky yet affluent family in 1970’s Sydney and revolves around two very diverse siblings who return to the family home to attend supposedly to their tyrannical mother who is lying on her deathbed. 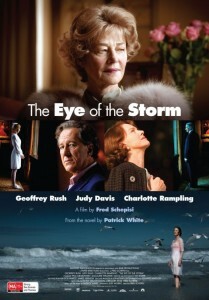 Charlotte Rampling, Geoffrey Rush and Judy Davis are all absolutely superb in this amusing but brilliantly acted family drama. The 23rd James Bond film does not disappoint with Skyfall tracing Bond back to his childhood home as he deals with a devious internet hacker out to take revenge on M and Mi6. Javier Bardem is brilliant as the villain . 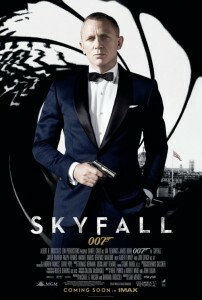 Skyfall is fast paced, beautifully shot and has some strong performances with an all star international cast. Daniel Craig proves he still has it to continue the 007 tradition six years after making his debut as Bond in the thrilling Casino Royale.